Pets are part of your family and can bring joy to everyone in it. But this isn’t always true to those who may have fears of animals or simply do not see or appreciate the beauty of your particular pet. That is why it is so important that pet owners practice proper pet etiquette when living in apartment communities where units are close together and outdoor spaces are somewhat limited. This is a top complaint among apartment dwellers about other people’s pets. 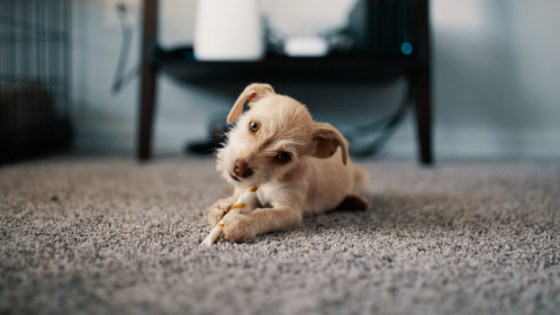 Quickly picking up any messes your pet makes will increase harmony and goodwill toward you and your pet among the other residents if you follow this simple rule. Most pet-friendly apartments even have places to dispose of waste designated throughout the property. This is not only a matter of good pet etiquette but a matter of safety. Pets can run off and become frightened, lost, or hurt easily when there are many people and/or unfamiliar vehicles around. Keeping your pet on a leash reduces its risks of running off and makes recovering him or her easier. This is especially important for people who love pets if you have an animal that doesn’t necessarily appreciate the attention. If your pet has a preferred greeting, let interested neighbors know about that as well. This will ease the tension that your neighbors may feel about meeting a new animal. For some breeds, this might require a barking collar (some are made with pepper that are completely harmless to the animal other than a few possible sneezes) to help reduce the barking. Less barking makes much happier neighbors. Training classes and routine socializing also can help minimize the tendencies of some dogs to bark frequently. Some people find that crate training their pets and using crates while they are out of the apartment helps to reduce barking by creating less anxiety for their pets. Pets are indeed a great joy for many people living in and around Arlington, VA. Check out our pet-friendly apartments in Arlington today.